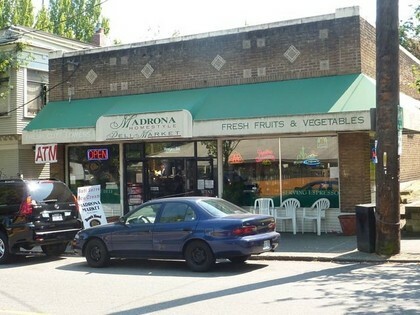 Madrona Market’s mission is simple: to source and provide to the Madrona Neighborhood and its customers quality Boar's Head delicatessen sandwiches, fine wines and beer, refreshments, day to day sundries, Appasionato coffees at good prices. If you are in a hurry and dont wish to go to the Supermarket, stop in and get what you need here! 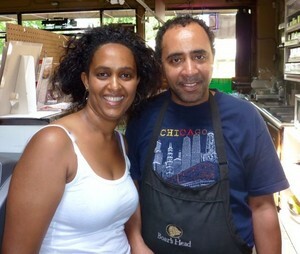 Your hosts Selam and Luel pride themselves on service and courteousness! Open 7 days a week 7:00 AM to MIdnight, 360 Days a year. Open Sat & Sun 8-11 PM! "I have used Madrona Market for my immediate needs for years. They are conveiniently open 7 days a week for most of the day!"